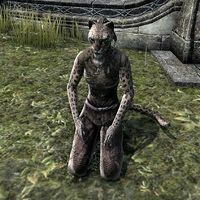 Abernura-dra is a Khajiit beggar found in Velyn Harbor. She can be found on the east side of town after the quests House and Home and One Fell Swoop are completed. She has no unique dialogue.